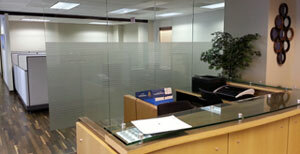 Call us to ask about our additional patterns and solid privacy films. With several stock patterns and the option to create custom designs, you'll not only be able to find a frosted window film to suit your need for privacy, but add a pleasing look to the glass as well. 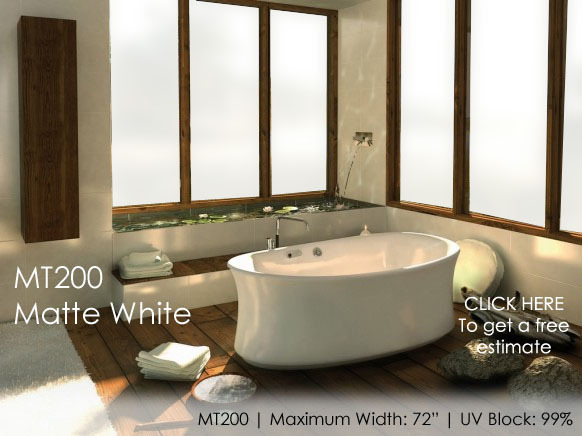 Some of the more popular places these films are used are in conference rooms, private offices, storefronts, home entries, bathroom windows, shower doors and kitchen cabinets. 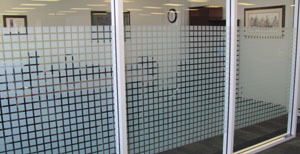 Frosted window films offer a stylish, durable and low-cost alternative to conventional etched glass, they look just as nice and are easier to clean. 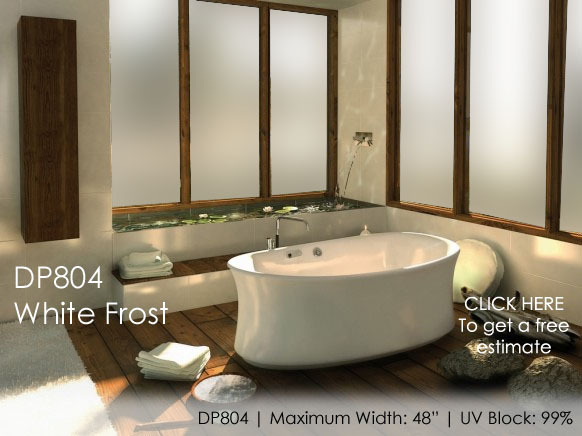 If you have a bathroom window or shower with a window that faces your next door neighbor, consider frosted window film as the easy to clean, permament solution to give you the privacy you want. 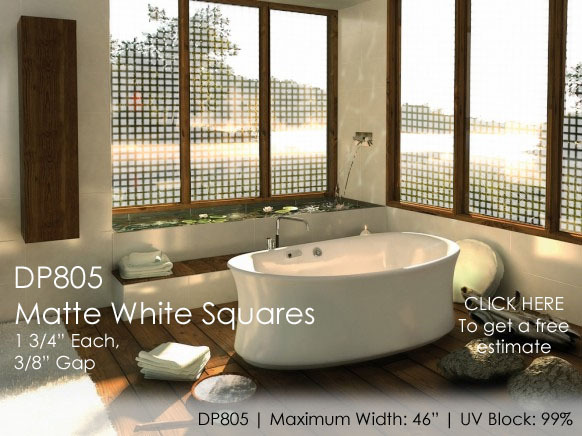 Tired of nosy people peeking through the window at your front door? 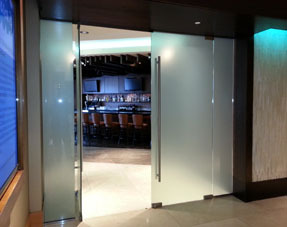 Our frosted window films will keep people from peeking in, while still allowing a good amount of light to come through the window. In today's hosptials and doctors offices HIPAA (Health Insurance Portability and Accountability Act) violations are taken seriously. 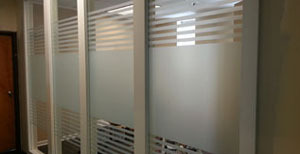 Retrofit consultation and treatment areas with frosted window film to protect your business and patient confidentiality. 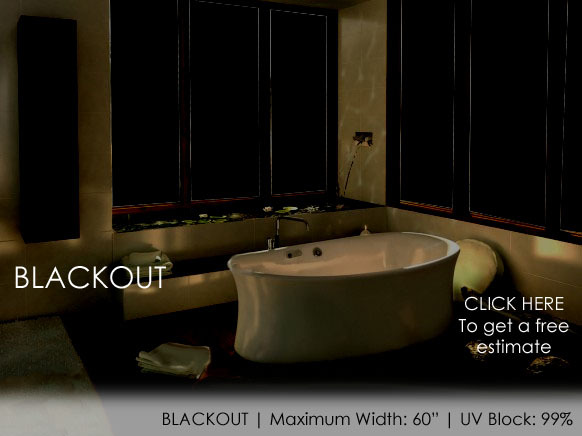 Etched glass is expensive. Film is not. 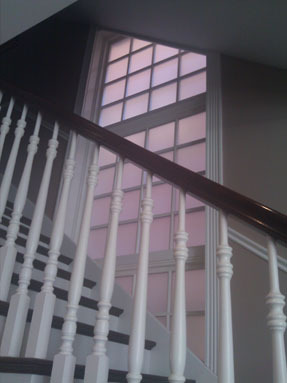 Adding just a touch of frosted window film to your windows will give your customers the cozy atmosphere they want, and add sophistication to the overall look of your business. 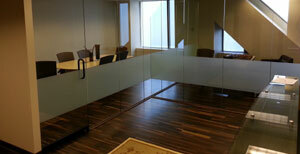 Retrofit your office space with frosted window film to help your employees concentrate on their work. 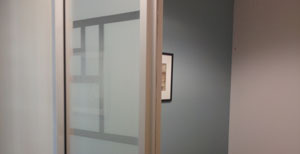 Conference rooms or private offices, frosted window film is the cost-effective means to create a workplace with a polished look and fewer distractions. 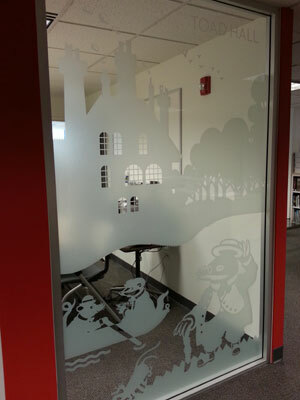 Utilizing high-quality frosted film stock, a state-of-the-art large format plotting system and over 20 years of computer graphic experience, we can create a beautiful custom etched design specifically tailored to your project! Incorporate pictures, shapes, patterns, logos or text to create a one-of-a-kind look! If you are interested in frosted window film, or just have some questions, please give us a call at 800-683-8468 to set up a free consultation or just send us an instant message and we will call you back.